Yes. Finally I'm doing a review on this Chanel lipstick. As you guys know that, this Chanel lipstick is on my March Favorite. I guess it gonna be my favorite every month. LOL. First of all, thank you Love for buying me this lipstick. This is my first time own Chanel lipstick :D And of cause, I am so happy about it. 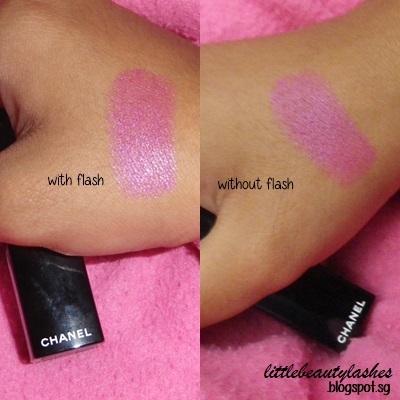 Okay lets move on to the topic for today :) Continue reading to find out more about this lipstick. One lip color. One style. With its line of fresh and luminous shades that are more intense than ever, ROUGE ALLURE offers a radiant and satiny makeup result with optimal hold, in an ultra-smooth, meltaway texture. Nestled in its sleek black case, ROUGE ALLURE unleashes the full intensity of its colour with one simple click and its ultra-femininity in a single sweep. The packaging is super sleek. And I love it so much! With classic black and gold packaging that click to open the tube of the lipstick. Using the shade in 94 EXTATIQUE. The swatches for the lip color. It reminds me of Barbie Pink lip. When you apply the lipstick, it doesn't have the creamy texture like example, MAC lipstick or maybe other brand of lipstick. But, it still very smooth to apply on your lip. What I don't quite like about this lipstick is when it comes to the time when I'm drinking a glass of water with a straw or when I'm eaten something. Cause, it does transfer to the straw or the food that I'm eating. LOL. It still show off a little bit of color on my lip and its quite okay for me. But it depends on how you eating or etc. Cause I can just applying it back after finish eating or whenever I'm heading to the rest room. Will I repurchased it in future? Definitely YES. I really love all the Chanel lipstick color. Chanel Rouge Allure Luminous Intense Lip Color? So ya, that's all for my today post. Stay tune for my next update. Have a good day everyone! i agree with you, the color is gorgeous :) I can sorta see the two tones, but i think i should head off to a chanel counter and swatch it for myself! Yes indeed. The color is gorgeous! I've never tried Chanel cosmetics. This lip color looks lovely though! 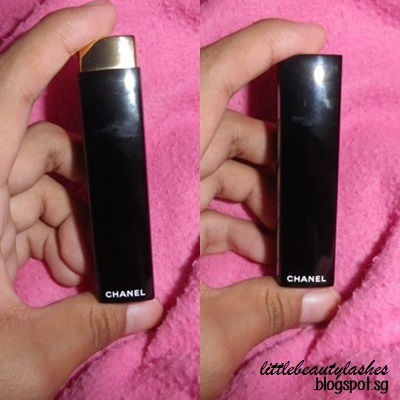 You should try this Chanel lipstick :D Yes it is very lovely color! What a lovely color but so expensive. I only tried their Rouge Allure Laque and felt pretty amazing on the lips. This is such a pretty shade! Love Chanel packaging too. So chic! Thanks for following my blog. 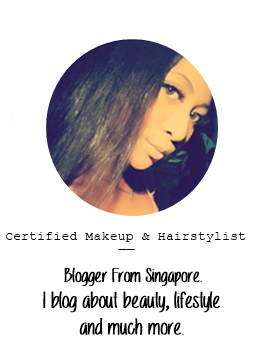 Checked out your blog and followed you too! This lipstick looks awesome! Think you can use it for daily life because it is not too expresive and this is why I love it! Great color! Me encanta esta barra de labios!! yo tambien la tengo y es genial! That is so incredibly gorgeous! Definitely gonna add that one to my collection!